Spring is here! Even though it’s been raining and snowing this week, I am very stubbornly telling myself that pretty soon it will be summer. And we get to be outside! And eat all the berries. And tan. I’m so looking forward to feeling the warmth of the sun on my skin and getting some color, as it’s getting really easy to mistake me for a ghost. I usually find myself feeling exhausted around this time of the year and now with all the added sleep deprivation, I’ve been taking it really easy. One of my go-to tricks to make me feel good has been to enjoy a piece of cake + a cup of green tea under a comfy blanket while my baby naps. Heaven. It’s been a while I’ve made a raw cake but I had an idea for a mango flavored cheesecake, so this is what I came up with! A really fresh, yet so creamy combination of spring flavors. This cake is also low in sugar, as my little fella wanted to have a piece as well, so this is kind of a crowdpleaser as well. Instead of honey or maple syrup, the cake gets its sweetness from juicy mangos, which have a wonderful natural sweet flavor. Along with this cake and post I get to start my collaboration with Foodin and it’s something that I’m super excited about! After having my boy and becoming a stay at home / working mom, we’ve been shopping food, baby supplies, clothes, and other everyday essentials mostly online, as it just makes life so much easier.It’s like the best life hack I’ve learned so far. So you can bet that I’ve ordered a lot of different nuts, gluten-free flours, spices, and a variety of seed and nut butters from Foodin’s web shop this past year. They have so many great products, but I think their medjool dates filled with the super creamy cashew butter have been saving my sanity countless times. Life hack #2! I’ve linked all the ingredients that you can find from Foodin on the recipe below, so you can easily order any of the things you’re missing. Yesssss for easy life. xo’s! With the code ”TUULIA” you’ll get 20% off all the normal priced products from the Foodin webshop until the 31st of May 2019. Check out all the products here! notes: the cake gets all its sweetness from the mango, so pay some extra attention on choosing your mango. if you’re using fresh mango, be sure to pick the soft and ripe ones that are really sweet. I used thawed mango chunks from the freezer and they work well too! I always use frozen mango chunks by Pirkka, as their flavor is great and they have enough natural sweetness. 1. Place the cashews in a big bowl, cover with water and soak overnight, or for at least 4 hours before making the cake. 2. Start by preparing the crust. Add walnuts, cinnamon and salt into a blender or a food processor and grind until fine crumble. Cut the dates into smaller pieces and add in couple turns. Blend until you get a sticky dough. Line the bottom of a cake tin with baking paper and press the dough to the bottom of the cake tin. Place it in the freezer while making the filling. 3. Rinse the blender. Drain and rinse the cashews and add them to the blender. Add all other ingredients and blend for a few minutes, until you get a creamy and smooth texture. Taste, and add some honey, if you’d like to add some sweetness. 4. Take the cake tin from the freezer and pour the filling on top of the crust. Return to the freezer for 4 to 6 hours until the filling has set. 5. When the filling has set, take the cake from the freezer and remove the sides of the cake tin carefully. Decorate with the fresh berries and edible flowers and let thaw for 15-20 minutes before serving. The cake will remain good in the fridge for a couple of days, for longer periods, store in the freezer. 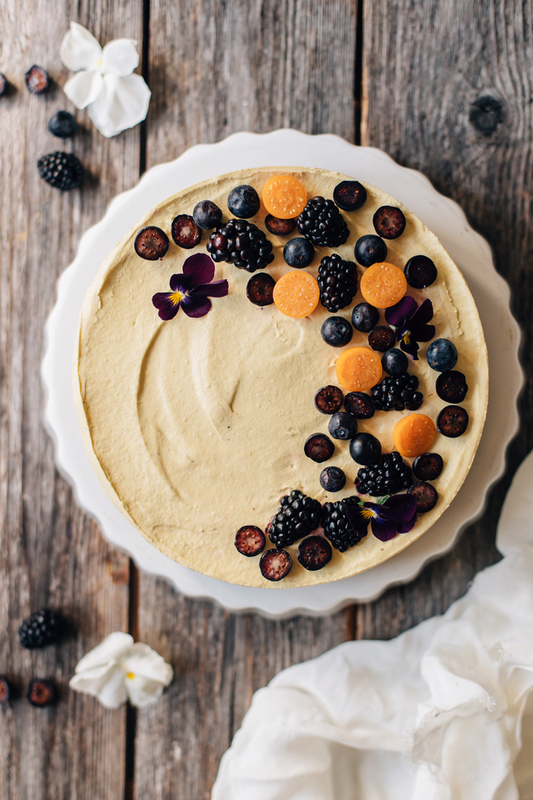 Tagged cakes, dessert, grain free, rawcake, spring, vegan. 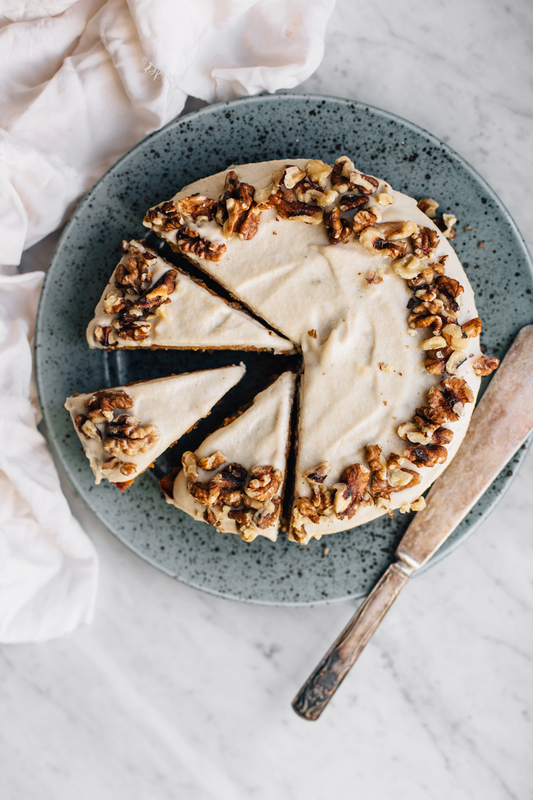 Since seeing this recipe for a gluten-free sweet potato spice cake on Food52 in 2015, I knew I had to come up with my own version of the idea. So genius! Fast-forward to 2019 and I finally got around to making it. Sometimes things just take their time, right? Anyhow, I feel like this idea is still as relevant as it probably was four years ago and after seeing a bunch of sweet potatoes in our fridge, I just really felt like baking. It was a Saturday night, we were staying in for a change (who am I kidding, we always stay in because #babylife), I had a glass of cider (we didn’t make it to the wine store so cider had to do) and baking felt more appropriate than my usual 9 pm bedtime. Things got so wild that I even took a slice of the cake once it was baked, even though I was planning on shooting it the next day (I think I covered it well this time!). And that slice was delicious. 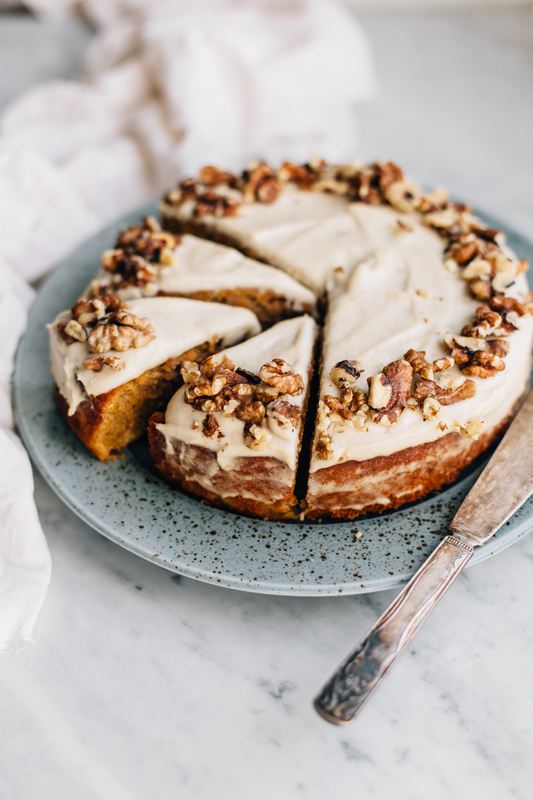 A few thoughts about the cake: it’s a lot like carrot cake, but you’ll just be using shredded sweet potato instead of carrots. Sweet potatoes are naturally sweet, so they are a great add on baked goods. I’m not a fan of cream cheese frosting, so I came up with my own version of it made out of cashews. This cashew cream frosting is a favorite of mine, as it goes really well on top of cakes and muffins, and it works as a spread too. My measurements for the ingredients are not super precise here, as I was making the cake first with a baby in my arms and then after that cider, so it’s a pretty relaxed recipe. I call this a no stress cake, as it requires zero stressing while baking or decorating it :) Hope you like it too! 1. Heat the oven to 175 degrees. Grate the sweet potato with grated iron and leave the grater for a moment. 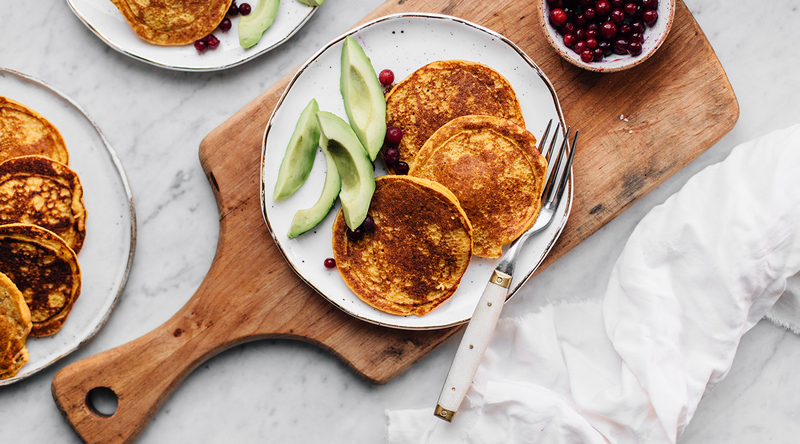 Break eggs into a large bowl and whisk the maple syrup and coconut oil (it is best to melt the coconut oil at very low temperatures, as eggs + hot coconut oil are not a good combo. 2. Measure in another bowl almond and rice flour, oat flakes, baking powder, salt, vanilla powder and cinnamon. Mix well. Add flour to wet ingredients and mix thoroughly. 3. Protect the bottom of the loose base with baking paper and apply a little coconut oil to the edges. Pour the batter into the cake and bake in the oven for about 50 minutes. You can also check the cake’s maturity with a cocktail cake: the cake is ready when the dough is not left in the dough when trying it. Allow the cake to cool completely before frying. 4. Prepare the icing when the cake cools down. If possible, soak cashew nuts for a couple of hours in fair water. Rinse and drain the nuts and place them in a blender. Add coconut oil, maple syrup, vanilla and almond milk and mix into a smooth, thick cream. Pour the cream into the bowl and put in the refrigerator for a moment to cool. 5. When the cake is completely cooled, remove it from the bowl and transfer to a serving dish. Apply cashew cream and decorate with walnuts if desired. Offer and enjoy! The cake remains in the refrigerator for a few days. Tagged baked goods, cakes, dessert, sweet potato. I’ve been having a lack of inspiration towards cooking for a while now, and even my favorite dishes feel totally boring and tasteless. Maybe it’s due to the seasons changing, or the lack of sleep. I’ve been having this funny dream, where I picture myself going to a dreamy hotel breakfast where someone else would just serve me all the luxurious dishes (and all the exotic fresh fruit!) that I wouldn’t make myself at home. But instead you’ll find me in my pajamas, in the kitchen, cooking porridge. If I’m not having overnight oats, I’m usually making porridge from oats or millet, and then I just add so many different toppings that I almost forget that I’m eating porridge. 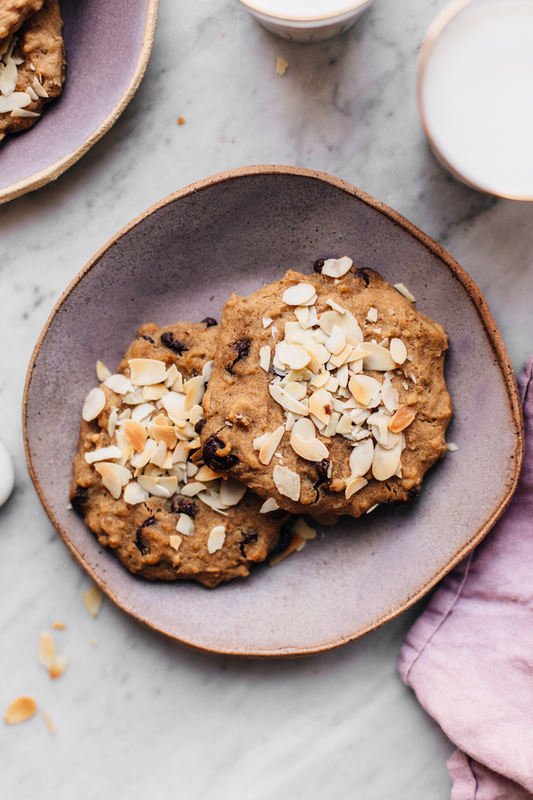 I usually cook a big patch of the porridge, as I still falsely think that my husband or my baby would eat it too, and they almost never do, which means that I’m trying to use the leftover porridge to some baked goods. By now I’ve been making muffins, flatbreads, and cookies, and these gluten-free chocolate chip cookies are definitely my favorite of them all. And as the cookies were so good, I’ve been finding myself cooking an extra portion of porridge in the morning just so that I could bake these later. There’s always a time for a chocolate chip cookie, am I right? 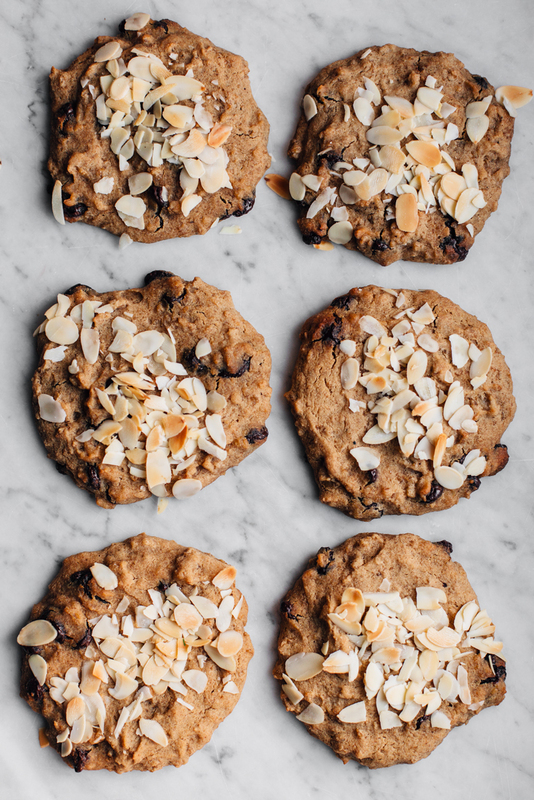 These cookies are really simple to make and it all starts with the leftover oatmeal. You just simply mix in all the other ingredients and then spoon the dough onto a baking sheet. Et voilà, you’ve got cookies. You don’t even have to get messy and touch the dough, as it’s all done with a spoon. Easy does it, and these ones make me really happy. 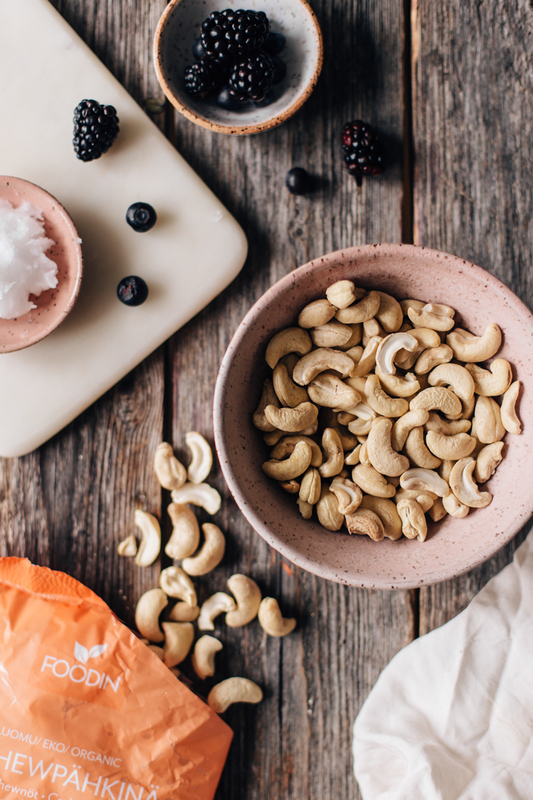 notes: to keep these entirely nut-free, top them with coconut flakes instead of almond flakes. I haven’t tried a vegan version, but you could replace the egg with a chia or flax egg and then add it to the dough separately. 1. Preheat the oven to 200 C / 400 F degrees. Chop the banana into a blender and add the egg and coconut oil. Blend until smooth. 2. Pour the banana mixture into a large bowl and mix in the cooked oatmeal. Add rice flour, coconut sugar, baking powder, and salt and mix well. Finally, fold in the chocolate chips. 3. Spoon the dough into about nine cookies on a baking sheet covered with parchment paper. Decorate with flaked almonds, if desired. Bake for about 18 minutes, until the cookies are golden brown but still feel a little soft. Let cool for a moment before serving. Serve and enjoy! Tagged baked goods, cookies, nut free, oat, treats. It’s been almost nine months since I gave birth to my little boy, but I thought I’d go back in time and talk a little about my pregnancy. I’ve actually been meaning to share this post a long time ago but only now got around to make it happen haha. So let’s dive in. – Eating small meals often: It might seem funny, but eating usually relieved my nausea and heartburn, so at some point I was eating every one to two hours. Small snacks throughout the day helped a lot, and I also made sure to eat a small snack just before going to bed and then again first thing waking up in the morning. – Citrus fruit: Luckily fruits were one of my cravings and especially citrus fruit relieved some of the morning sickness. I ate them as they were, squeezed some lemon to my water, and sometimes I even cut a lemon / lime / orange into half and just smelled the scent of citrus. It sounds weird but it works! – Acupuncture wrist bands: I read somewhere online about these acupuncture wrist bands and quickly went to buy a pair. They look like regular wristband but the point is that they press certain acupuncture points in your wrists, which is supposed to ease nausea pretty quickly. I’m not sure if they were super efficient, but I was ready for any help I could find. I wore my bands during the day when the nausea was at its worst and sometimes during the night too! – Fresh air: This is a such a simple, yet very efficient way to make yourself feel better. A short stroll outside in fresh air made me feel a lot better, the key was just to get myself out of bed to enjoy it. 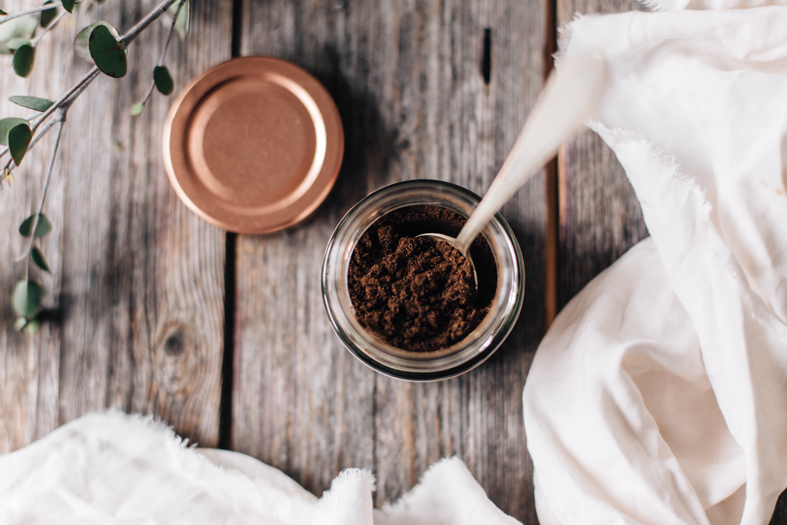 – Diffuser + essential oils: There were a lot (A LOT!) of smells that made me ill, but luckily a couple ones made me feel good too. We have a ZenSense diffuser in our bedroom and I used a lot of essential lemon oil in it. Sometimes I even added a couple drops of the lemon oil to my pillow before going to bed. 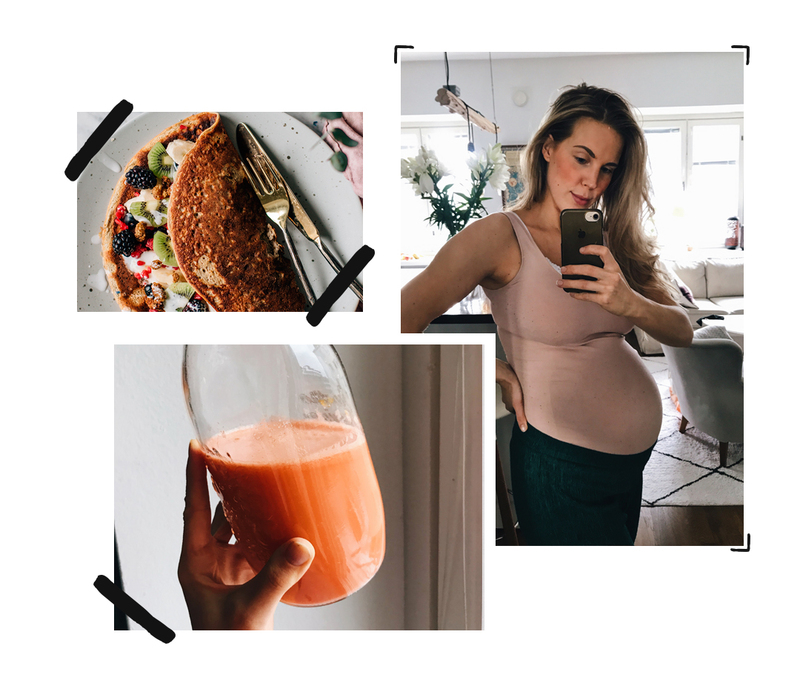 I usually have a pretty vast variety of superfoods in my cupboards but I stopped eating some of them while pregnant (you can read more about my favorite pregnancy superfoods in this post), and instead added some dietary supplements into my diet. Taking good quality probiotics daily was essential for me, as the pregnancy hormones messed up with my already sensitive stomach. Another important supplement for me was iron, as I was diagnosed with anemia after the first trimester and so I tried to be pretty diligent in taking a good quality iron supplement daily. – Probiotics: Vivomixx probiotics, Puhdas+ probiotics and Bioteekki Probiootti Plus. – Multivitamins: Terranova Prenatal Multivitamin Complex* and Wild Nutrition Food-Grown Pregnancy. – Vitamin D: Puhdas+ Vitamin D, D-Pearls Vitamin D and Wild Nutrition Food-Grown Vitamin D.
– Magnesium: Terranova Magnesium Kalsium Complex* and Puhdas+ Magnesium. – Omega 3: Puhdas+ Premium Omega-3. Note: If you’re taking an omega 3 supplement while pregnant, it is recommended to quit taking it about a month before the due date. – Iron supplements: Futmed Natural Red Iron , Terranova Easy Iron*, Salus Floravital* and Wild Nutrition Food-Grown Iron Plus*. When buying supplements, remember to always check that they can be taken while pregnant. 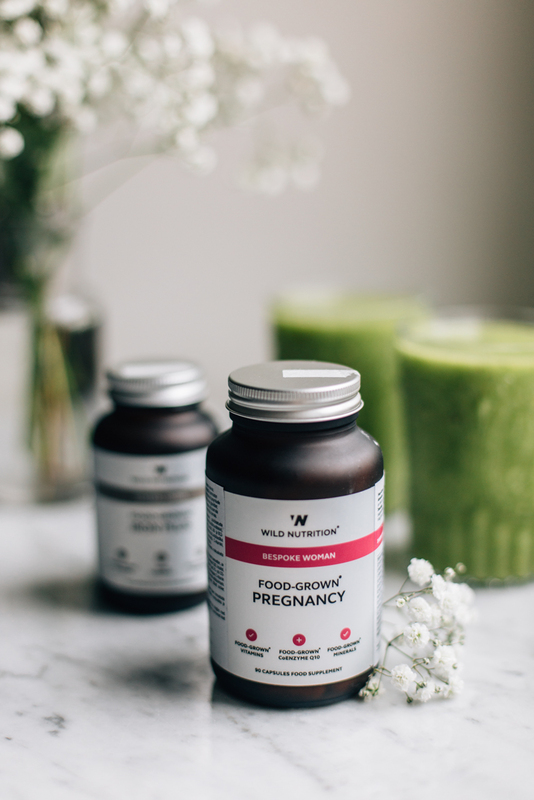 If you use a lot of different supplements, it’s also good to check that you’re not taking too much of certain vitamins (for example a pregnancy multivitamin might have enough of folate so that you might not have to take it separately). Pregnancy usually effects the skin at some level too, some might be lucky enough to glow for the most time, but others get acne, hormonal pimples, eczema, or something else as fun. Luckily for me it wasn’t that bad, but still my eczema got worse at times, and I got a bit more zits due to the hormones. Whenever my skin is acting up, I treat it with natural cosmetics, salt baths and scrubs, and sometimes with facials too. 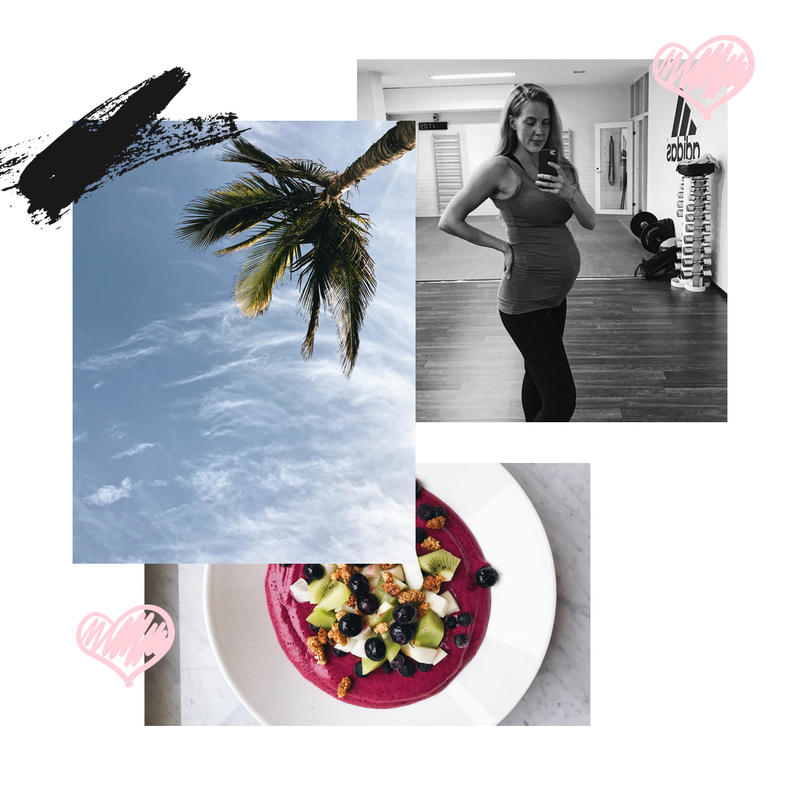 Here are a few ways I took care of my skin while pregnant! 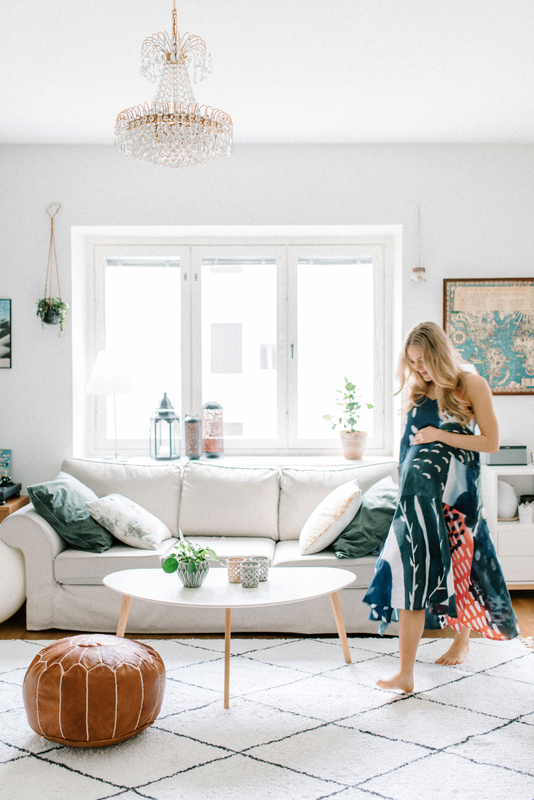 – Dry brushing: I’d been dry brushing my skin occasionally for a few years, but got really into it while I pregnant as I had read that it could prevent stretch marks. Dry brushing kept the skin of my legs and arms super soft, which was really nice, and it also relieved some of the swelling I got on my legs. – Oils: I started to oil my body regularly probably the minute I’d taken the pregnancy test to keep my skin well and to prevent stretch marks. And despite all of my good efforts, I did get stretch marks to my breasts but actually not any to my belly. So maybe some of that extensive moisturizing did really help! 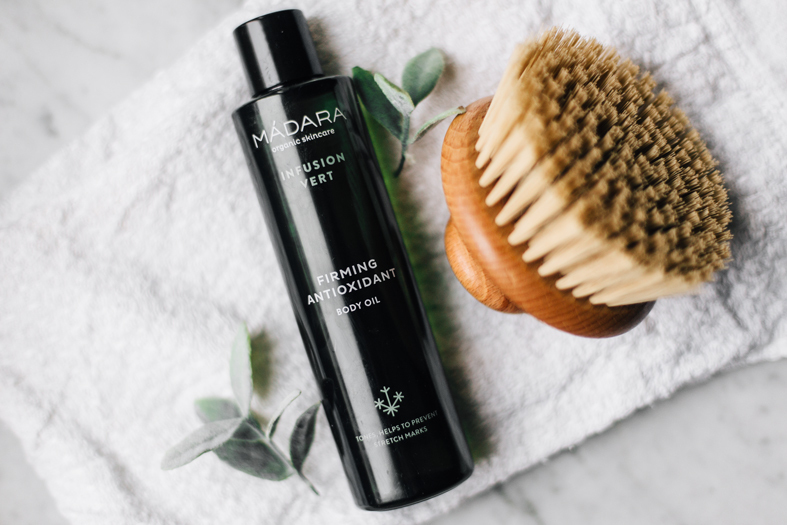 My favorite oils were this organic almond oil* and MÀDARA’s Infusion Vert Firming Antioxidant Body Oil*. – Homemade Body Butter: In addition to the oils, I used my homemade body butter, which is super moisturizing. So it really did wonders for my belly, breasts, and legs. – Weleda Baby Derma Nappy Change Cream*: I’ve been battling eczema for years and this baby cream has been a favorite for years. The cream has zinc and it soothes irritated skin well, so it’s a nice natural option for cortisone. Since the early stages of my pregnancy, I remember wanting to read all the pregnancy articles out there. Because everything was so new, reading things was exciting and also made me feel more confident with the fact that maybe those weird feelings or strange physical symptoms I was experiencing were actually normal, and just belonged to certain stages of pregnancy. So I definitely recommend reading some stuff, but also know that it can be pretty overwhelming when there’s SO much information out there. So it’s good to also know when to stop and just be okay with the fact that you don’t have to know absolutely everything and also that there is no such thing as a perfect pregnancy. We are all different and have our own ways of fostering these tiny little humans inside us. – The Bump App: My favorite pregnancy app to track baby development and read articles about pregnancy, labor, breastfeeding, and baby care. – Pregnancy books: I ended up getting Nurture and The Natural Pregnancy Book. I also recommend reading a book about baby sleep, as there are things you can do already when the baby is little so I maybe wouldn’t wait until you’re absolutely sleep-deprived to search for information (like I did!). I tried to buy as little as possible, as all the baby stuff took so much space already, but some things very really helpful already in the beginning of my pregnancy. I also recommend getting these second hand if possible! – Belly Armor Belly Blanket: This soft blanket is designed to protect your baby from wireless radiation from cell phones, laptops, wi-fi and other smart home devices. Maybe it’s not a must thing to get, but at least it didn’t do any harm! And later on it’s been a handy blanket to have around for the baby to lie on. 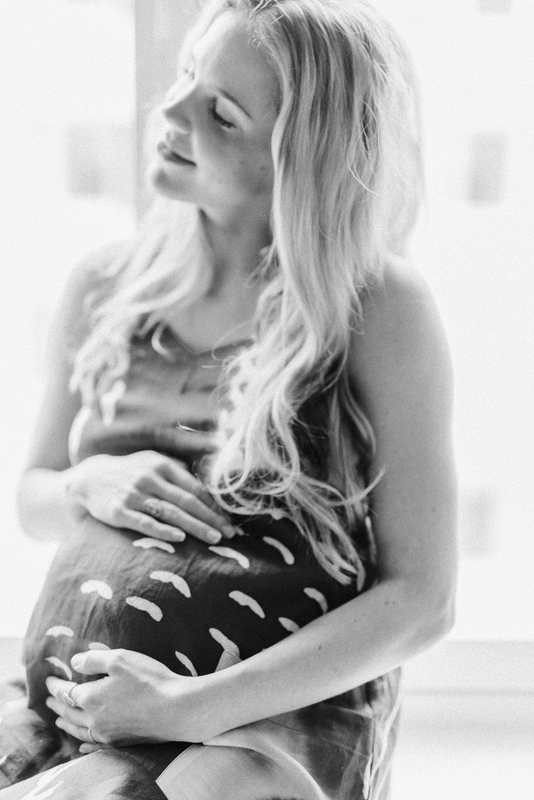 – Doomoo nursing pillow: This has been great while breastfeeding, but I also used my nursing pillow a lot while pregnant too! It helped me to find a comfortable sleeping position especially in the final days when it was so hard to find a good position to sleep. – Exercise ball: This is originally meant for working out, but my exercise ball was a great helper to my back pains and for the contractions, as it’s a comfy spot to sit on and give some movement to the lower back and hips. Later on my exercise ball was also a great helper in soothing our baby, as he loved the bouncy movement and bouncing with it saved me from doing a thousand squats a day! – Belly Bandit Support Band: I got this band to relieve my back aches and used it while working out and also just for walks outside. It didn’t remove all of the pain, but it did help me to move around more easily. Belly Bandit also has a lot of other models too which are worth checking out! I had this image of myself being a super active pregnant women working out regularly, so that I’d be in a really good shape for the labor and upcoming baby life. But oh well, that turned out to be a total hallucination haha. At first my nausea was so strong that I couldn’t get out of bed and rather slept than did anything active. And it was actually a lot better that way! But as the weeks passed, I luckily started to feel better and more energized, and I really wanted to work out, so I started to go to the gym and to some exercise classes. In my third trimester I also went to prenatal pilates and yoga, and those classes focused more on gentle movement rather than getting a sweat on. – Piloxing: / Himo Club: Last year I got really into piloxing, which is a combination of pilates, dance, and boxing and I went to classes throughout my pregnancy too (meaning whenever I had the energy to do so). It was a great workout and totally adaptable to pregnancy. – Prenatal Pilates: / Kirppanat: A class designed to expecting mothers with simple yet efficient exercises. – Prenatal Yoga: / Manipura: These classes were super chill (sometimes a bit too chill for me), but the course also had two prenatal classes about labor in the end and I thought that they were useful. If you’re into prenatal yoga, there are other courses in Pihasali, Purna Yoga and Hamila too. – Mama Bear Bootcamp: / Helsinki Core Trainers: My friend Kanerva is a fabulous coach and this class uses weights and bodyweight workouts that are designed for pregnant women. Growing a tiny human inside of you is such a big transformation (both mentally and physically) that some self care and some pampering are definitely needed. Once the nausea was gone, I suffered from a super annoying sciatica, which made even walking painful at times. But luckily osteopathy, gentle exercise and the belly bandit I had bought gave some relief. Below are also a few other tips on how to show yourself some love! – Osteopathy / Mommy & Me: My go-to place for osteopathy and I can warmly recommend both Reetta and Laura. – Floating / Float Kallio: Floating in a sensory deprivation tank is a pretty funny experience but I was so relaxed after my treatment (and my skin loved the salt water. Floating is a great way to relax especially if you’re feeling heavy or swollen. – Facials / Charmonie Spa: I’ve been going to this lovely little beauty salon for a few years already and love all the treatments that Tiia offers. She uses only natural cosmetics and it was so nice to pamper myself with a fascial just before my due date. This post contains affiliate links (they are marked with a *), meaning, at no additional cost to you, I get a commission if you click through and make a purchase. Thank you for your love and support. 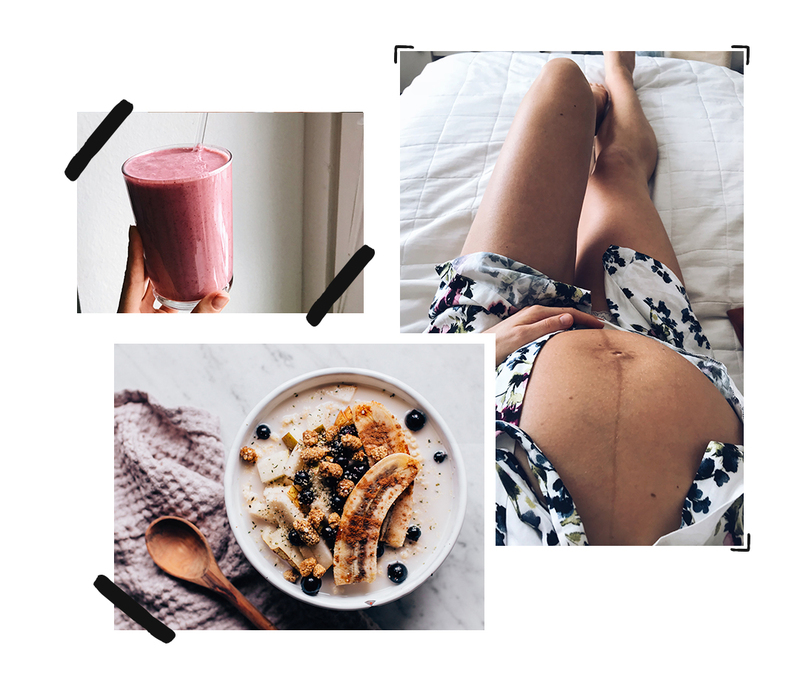 Tagged beauty, health tips, pregnancy, wellbeing. As I’ve probably told a million times, I love food shopping. Especially when we travel I tend to visit all the food shops and markets (you can bet that I loved LA for this) but I’m pretty good at it back home too. Now that we’re back to our everyday life (my hubby’s back at work and I’m at home), our routines have become pretty important again. We like to get groceries delivered at home a couple times a month and then in between we try to be pretty efficient when going to the store. Our meals are more planned nowadays and our grocery list is pretty detailed, which makes life a lot easier. 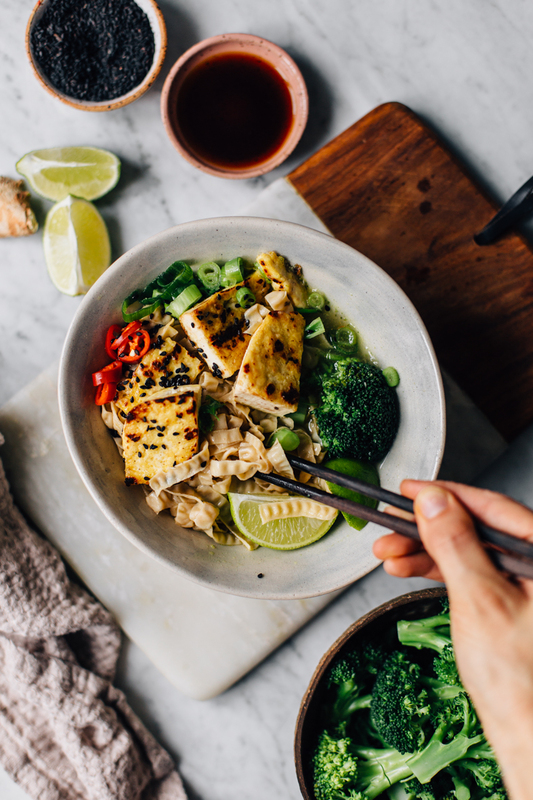 When planning our meals I like to keep a couple things in mind: get things in bulk rather than in small quantities, buy seasonal, and make sure I have all the basic ingredients in our cupboards. 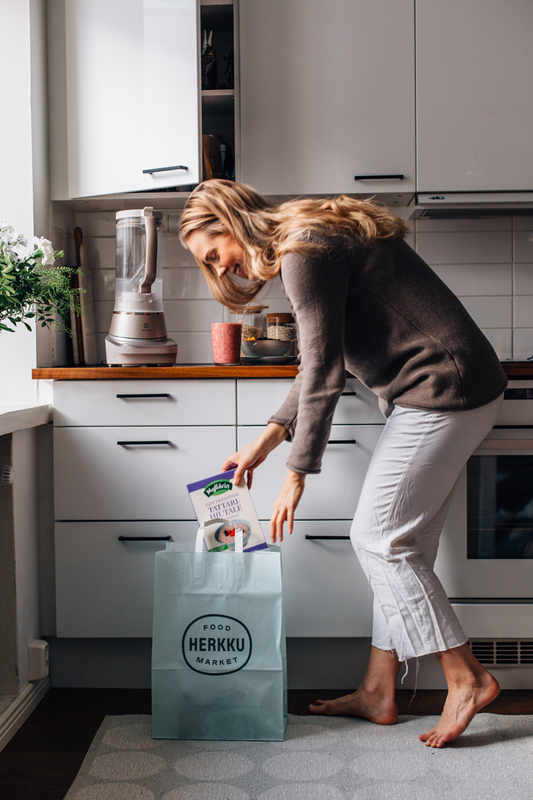 So I was pretty happy when Food Market Herkku wanted to collaborate with me, as it means I get to talk about my favorite food products and finally share my pantry must-haves with you! In season now: all the citrus fruit! My go-to breakfast lately: Winter Overnight Oats. Sometimes I wish I was a minimalist, but when I’m in the kitchen, I like to have a bunch of ingredients around so that it’s easy to start baking or prepping a meal. I like to try new products but I also like knowing that I have my go-to ingredients. So here’s a list of my must-have ingredients and tips on what you should be getting on your next visit at Food Market Herkku! – Fruits: Fruits are my jam. 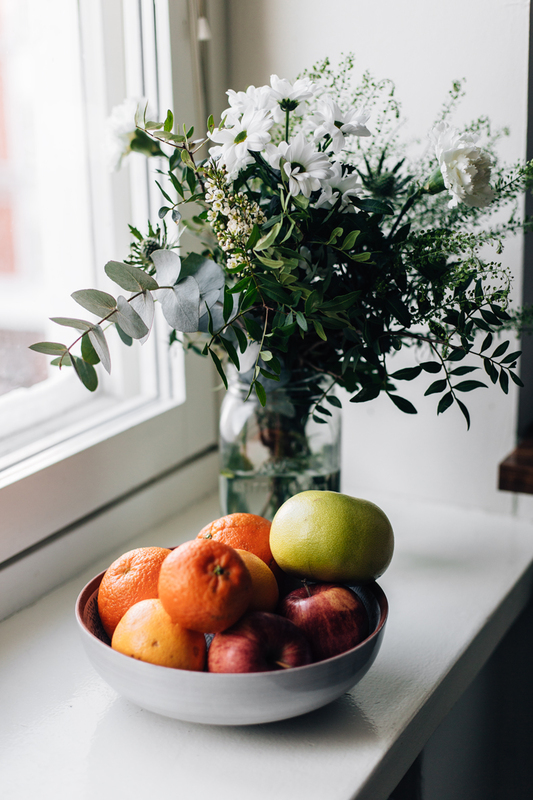 I always have to have some fresh fruits at home as they’re such an easy snack and a great add on top of porridge, to smoothies, baked goods or even salads. I buy bananas and apples (mostly organic) around the year but otherwise try to stick to what’s in season. Like now I’ve been eating all the citrus fruit! Food Market Herkku always has seasonal veggies and fruits beautifully presented, which makes shopping a lot easier. – Frozen berries: I make sure we never run out of frozen berries, as they’re probably my favorite ingredient ever. I buy them in bulk, as I want them to last for a while and they tend to be cheaper that way (plus it’s less plastic!). So I usually go for the huge bags by Marjex, as almost all of their berries (except the sea buckthorn and cranberries) are from Finland. – Nuts and seeds: I usually have a few different nuts and seeds at home, as they’re a great snack and I like to use them as toppings for salads or porridges, or add them to baked goods. I like to toast nuts before serving, as it makes them a lot more delicious! I store nuts in the fridge and seeds in the cupboard. – Flakes and flour: I like to bake a couple times a week, so it’s nice to have a few different grains at hand. I cook porridge and pancakes with oat, millet and buckwheat flakes, and make my baked goods usually with rice, buckwheat and almond flour. There’s a really nice selection of gluten-free grains, flakes, and flours at Herkku, so it’s easy to get all the things you need at once. 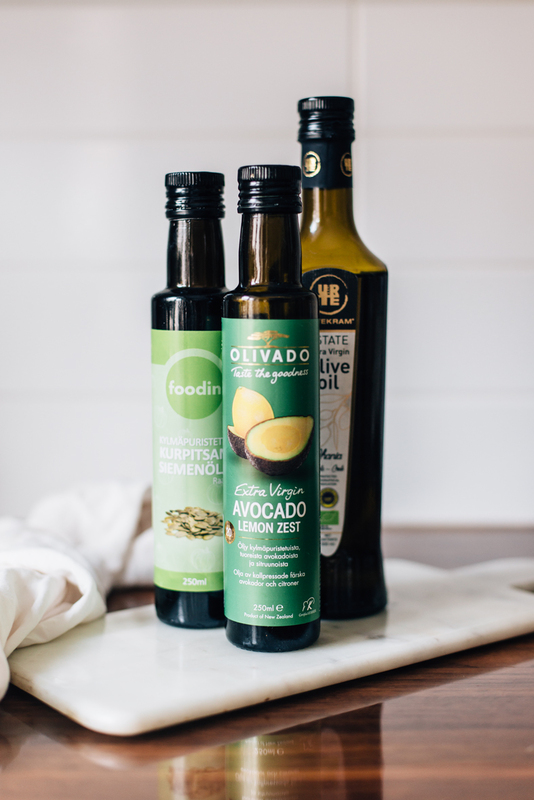 My favorite oils to add on foods: avocado lemon oil, pumpkin seed oil and olive oil. 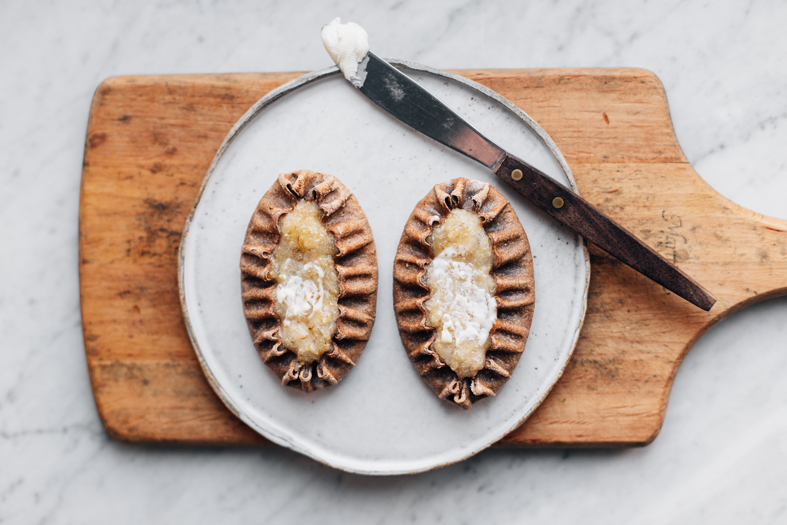 Karelian pies are a Finnish classic and one of my favorite snacks. I found these gluten and dairy free ones by Vuohelan Herkku from Food Market Herkku. – Rice and pasta: We eat a lot of rice and pasta during weeknights and my favorites are wild rice and brown rice pasta. Lately I’ve been loving lentil pasta too, as it’s very nutritional and my 8-month old boy loves it too. – Oils: I use oils daily for frying, baking, to salads or spreads or just on top of veggies. My favorite oils are olive oil, coconut oil, avocado lemon oil (the Olivado one from Herkku), pumpkin seed oil, and sesame oil. – Lentils: Lentils are such a great ingredient and I use them a lot as I stomach them much better than beans. I use them for stews, bolognese or on top of soup. – Plant milks: I know I should probably make these myself but haven’t just gotten into a good routine, so I tend to buy plant milks from the store. We use them daily in smoothies, porridges, coffee and matcha, and baking. I like the gluten free oat milk by Juustoportti, Santa Maria’s creamy coconut milk, and the unsweetened organic almond milk by Almond Dream. + Bonus tip! Even though I try to be pretty organized and love to cook, sometimes you need a night off and get takeout or buy something from a deli. I like to get some of the salads from Herkku as they have a pretty wide selection, and now they also have a bunch of new options at their Meals & Bites section. There’s a lot of vegan options too, which is great! 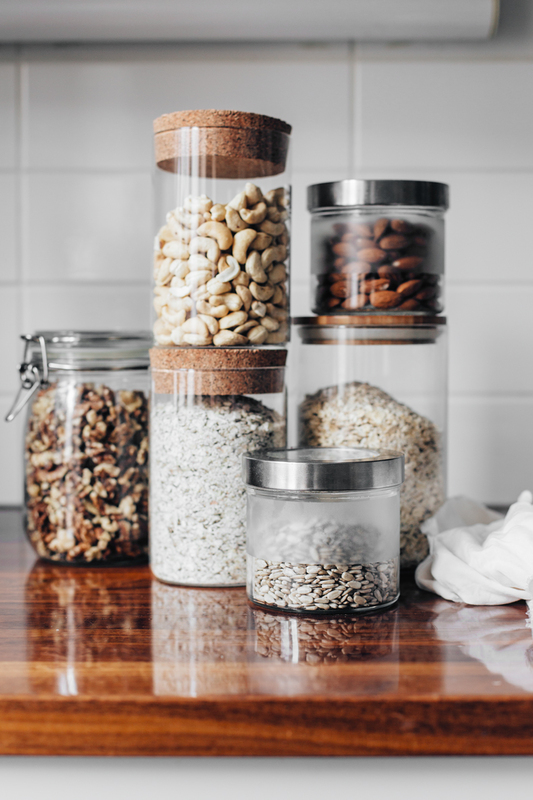 I like to store nuts and seeds in glass containers so that it’s easy to add them on top of foods. 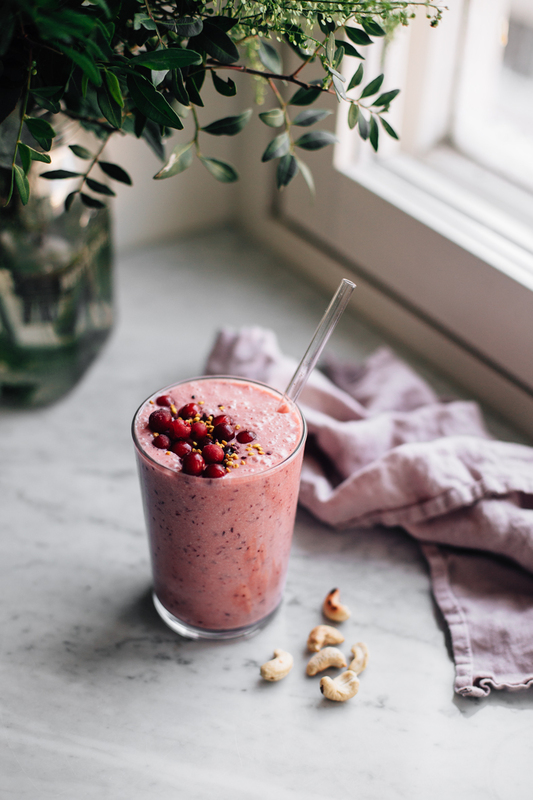 My winter smoothie with banana, blood orange juice, lingonberries, mango, and cashew nuts. With all the ingredients in the cupboards, there’s one food I keep making all the time. Overnight oats. The ayuverdic side in me knows that I should really have warm foods, but the tired mom in me knows that overnight oats is a super easy breakfast, and it keeps my belly full until lunch (and at least my matcha is warm!). 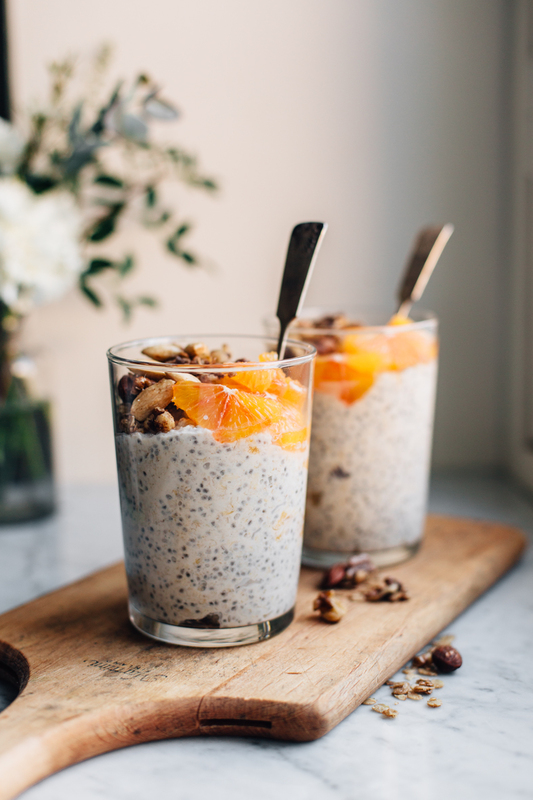 With all the citrus fruits in season, I’ve been adding oranges to my overnight oats and really loving it. With coconut milk and chopped dates, this tastes almost like a dessert but in a way that’s totally appropriate for breakfast. Hope you guys enjoy it too! notes: if you’re in the mood for an even deeper orange flavor, add a bit of grated orange zest to the porridge! 1. 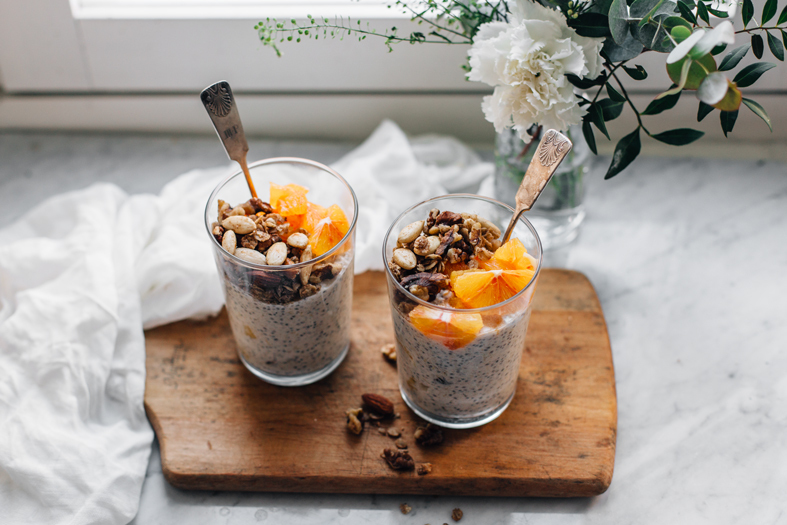 Measure the oats and chia seeds into a large bowl. Peel the orange and chop it into small pieces. Chop also the dates into smaller pieces. Add the orange, dates, and coconut and almond milk to the bowl and mix well. Cover the bowl and place to the fridge for at least for hours, or overnight. 2. Once the porridge is done, divide it into two bowls and top with more orange and some granola. Serve and enjoy! Tagged berries, breakfast, health tips, nut free, oat, porridge, raw porridge, wellbeing. Before we even realized it, our little boy turned 8 months and is now sitting with us at our kitchen table. He might be small but the way he eats leaves a pretty gigantic mess. He is big on eating by himself, which makes me ever so happy when I’m on the floor cleaning all the spilled food for the fifth time of the day. No but really, I do enjoy the fact that he is eating real foods and making the funniest expressions when trying new things. And what’s great is that while he’s examining his food, mashing it to his seat, or massaging it onto his hair, I have some time to eat my own meal too! Sending you all good vibes + good health to this new year! notes:if you’re making these just for yourself, you can add a pinch of salt to the dough too. when you’re frying things for babies, I recommend using an oil that tolerates high heat well. I usually go for coconut oil, avocado oil, or ghee. 1. Peel the carrots and zucchini and cut them into small pieces. Add the vegetables to a blender and pulse until a coarsely grated. 2. Add the eggs, rolled oats, and oat milk to the blender and blend until smooth. 3. Heat a frying pan and add a bit of oil to the pan. Add a few tablespoons of dough to the pan and fry on medium heat for about a minute, then flip and fry the other side. Allow to cool for a moment before serving. Serve for example with sliced avocado and lingonberries, and enjoy! Tagged lunch & dinner, nut free, oat, pancakes, vegetables. One thing I love no matter the day or the time of the year: food! And baking. It’s relaxing, joyful, and a lovely time to spend time together. 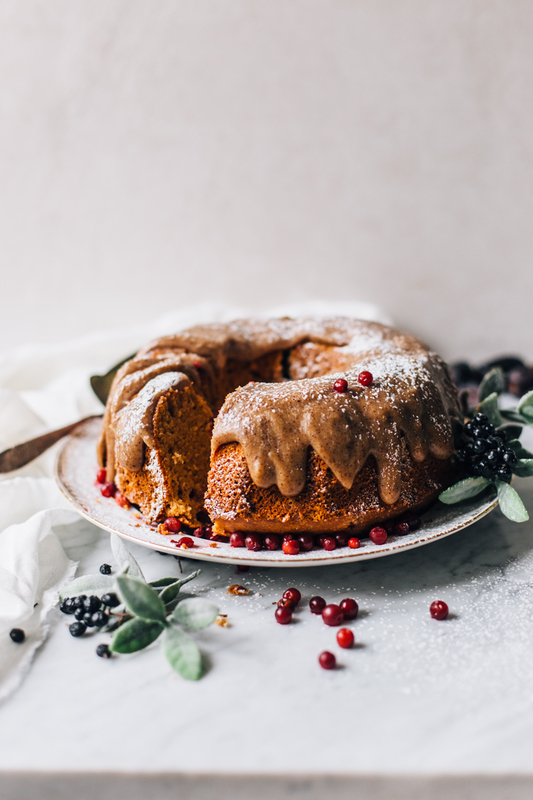 I’ve posted some Christmas bakings here in the past years (like this date bundt cake, raw vegan gingerbread cake, and roll cake with plum jam & coconut cream) and now I felt like adding a new cake to the mix. 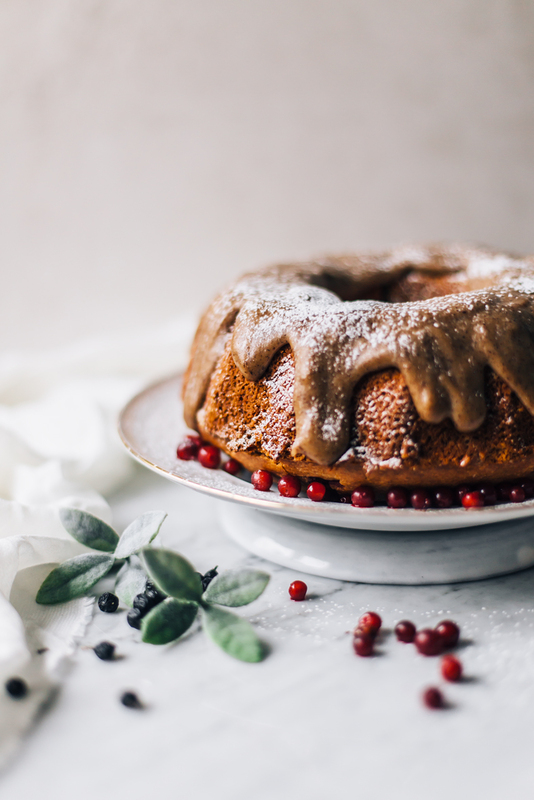 Enter: a really lovely Lingonberry and Coconut Bundt Cake with Caramel Frosting. I love my super healthy, raw, and vegan goodies, but now I felt like making something a little more traditional. Hence the bundt cake. The cake has coconut in a few different forms – there’s coconut sugar, shredded coconut, and coconut milk – but the flavors don’t come out as too strong, so if you’re not a coco lover, don’t be too frightened to try this one out. Lingonberries are one of my favorite berries during winter, but you could totally go with cranberries too, if they’re more accessible to where you live. But really, the best part of the cake is that date-based sweet caramel frosting, that you’ll just want to eat by the spoonful. Mmm, hello lover. 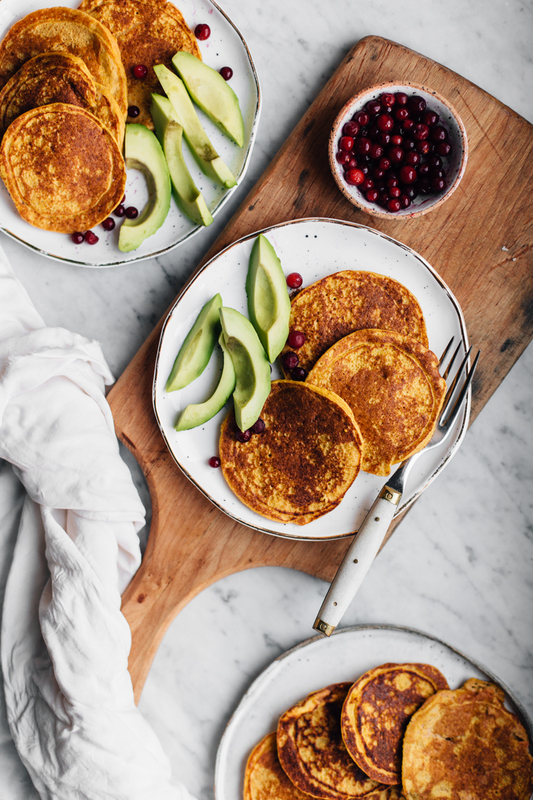 notes: my favorite gluten-free flours for baking are almond and rice flour as they make a nice texture, but if you want to try another flour, I’d go with gluten-free oat or buckwheat flour. 1. Preheat the oven to 180 C / 350 F degrees. Break the eggs into a large bowl and add coconut sugar. Whisk eggs and sugar with an electric mixer for a few minutes until you get a fluffy foam (coconut sugar doesn’t foam as well as white sugar but you should still get a pretty nice foam). 2. Measure almond flour, rice flour, shredded coconut, baking powder, vanilla, and salt into another bowl and mix well. Add coconut oil and coconut milk. Mix in the egg foam. And finally, fold in the lingonberries carefully. 3. Grease the cake tin with coconut oil and sprinkle a bit of flour to the bottom to prevent sticking. Pour the batter to the cake tin and bake for about 50 minutes. The cake is ready when it has a golden brown color and a toothpick comes out nearly clean. Take the cake from the oven and allow to cool for about 10 minutes before turning the cake pan upside down. Let the cake cool completely before frosting. 4. While the cake is cooling, prepare the frosting. Remove the stones from the dates. Add all the frosting ingredients to a blender and blend until smooth. Spoon the frosting over the cake. Serve and enjoy! 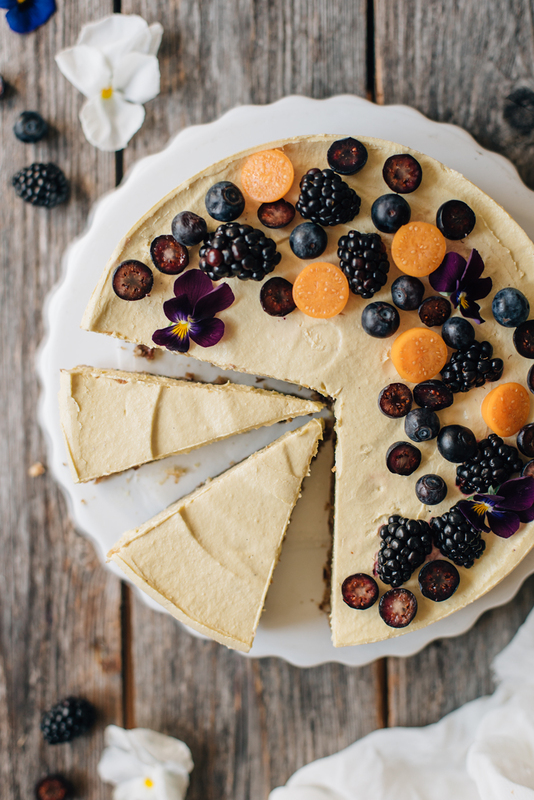 If you end up with leftovers, store the cake in the fridge up to 2 to 3 days. Tagged baked goods, berries, cakes, christmas, dessert, winter. Hey from LA! It’s been almost two weeks since we took a long flight here in order to spend some time in the sunshine, see some friends, and just to hang out together with our little family of three. As my husband took time off from work, I’ve been getting some much-needed alone time to exercise and work a bit. I just took a spin class at SoulCycle this morning (so hard and sweaty! but I’m hooked already) and now I’m sitting in a cafe sipping on an iced tea and finally having a little time to blog! I’ve really missed this and it feels so good to work on something of my own in between baby duty, everyday chores, and even family time. So let’s hang out and talk about pasta! We make pasta all the time. It’s my husband absolute favorite food and I find to be easy and quick to make, so it’s become one of our staple weeknight meals. 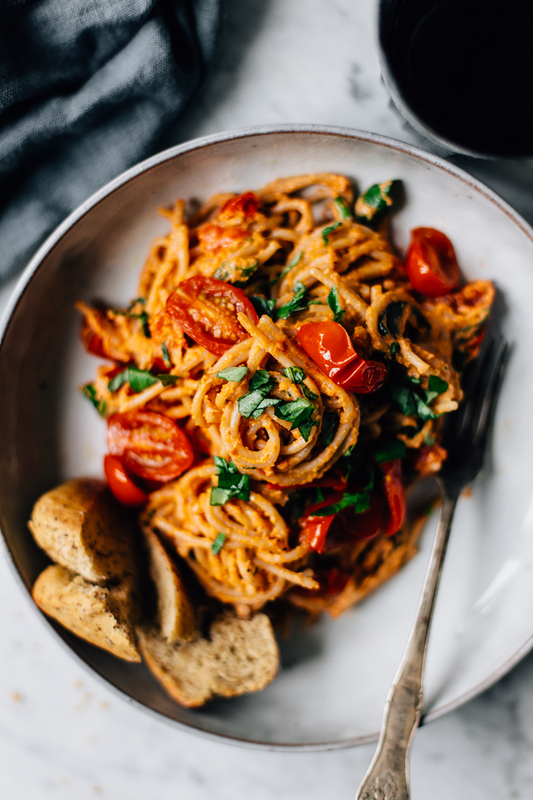 I think pasta has a bit of a bad reputation and a lot of ‘healthy diets’ always advise on giving up on pasta or eating zucchini noodles instead. 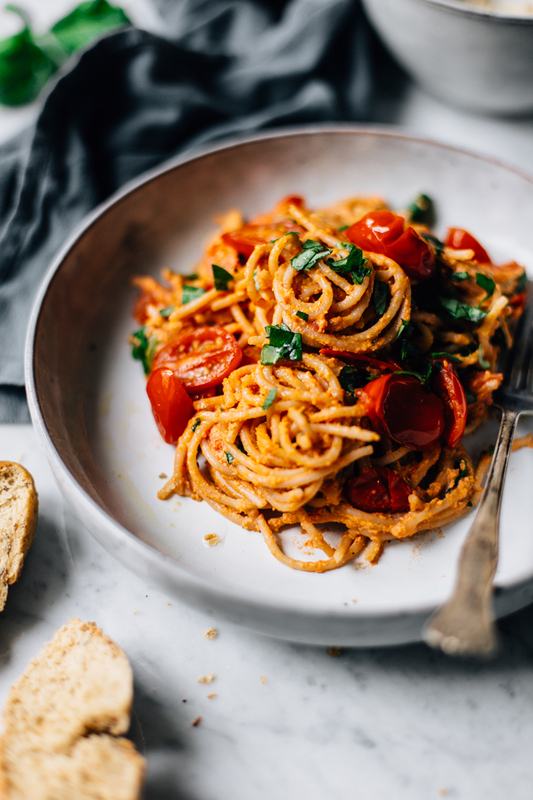 I get that and really like all the veggie- and bean-based pastas, but I still see pasta as a balanced meal even if you wanna be a healthy eater, as there are so many great ways you can make pasta! 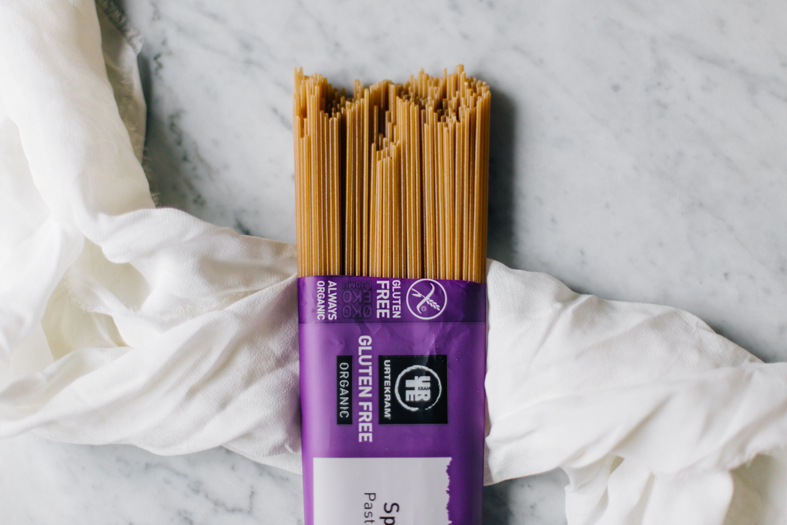 When it comes to gluten-free pastas, I’m a fan of brown rice pasta. It has texture, a bit of flavor, and a more wholesome vibe than corn pasta. I also like my pastas sauce-heavy so that I’m not eating just pasta, but a lot of other ingredients too. And I love my pastas creamy too. 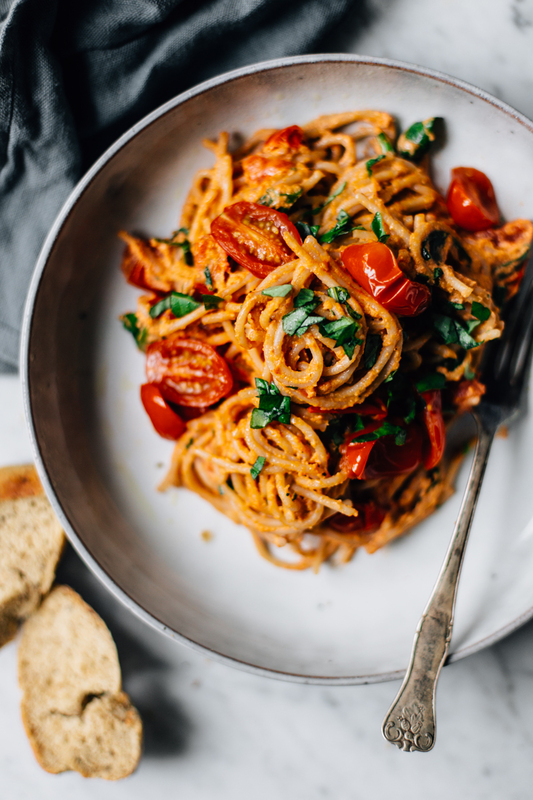 Creamy pastas are my absolute comfort food and creamy tomato sauce has been my favorite for years. But since we don’t use a lot of dairy, I’ve found other ways to make my pastas creamy: I either add some coconut milk to the sauce (like in this lentil bolognese), use a plant-based cream like oat cream, or add some soaked cashews to the sauce, blend it, and what comes up is a super creamy, oh so good, thick ‘n creamy sauce. 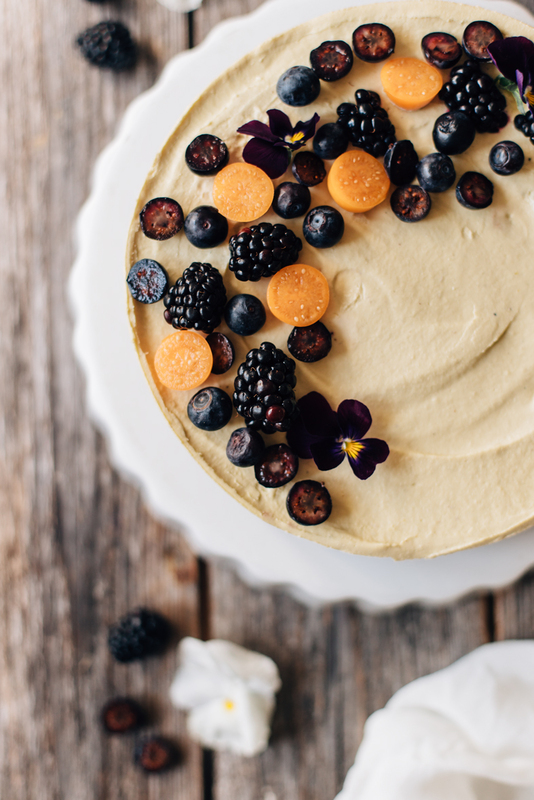 To get you on board with this cashew cream thing, I wanted to create a really simple recipe. These are the kind of foods that photos don’t do justice because trust me, this was one the best meals I’ve made in a while. It was so good that I found myself eating straight from the pan and literally could not stop. And the recipe is really easy, so you have a 100% chance of making a killer meal. The pasta that I used here is an organic brown rice spagetti from Urtekram (a staple in our kitchen), but you could definitely go with other forms of brown rice pasta, like fusilli or penne. 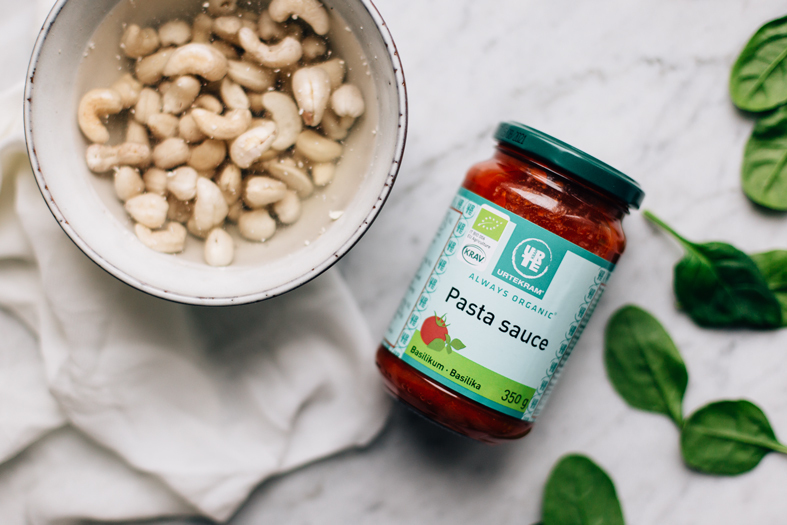 The creamy tomato sauce is simply made with soaked cashews, Urtekram’s organic pasta sauce with basil, fresh basil, and a little salt and black pepper. You could just leave it at that but I also added some cherry tomatoes and baby spinach to make my pasta a bit more photogenic :) I really recommend checking out Urtekram’s products if you haven yet, as I’ve been using them for years and I love that the brand is 100% organic and 80% vegan. So I’m really happy to work with them and bring this pasta for all of you! notes: if you feel like having more veggies, you could definitely add some zucchini or eggplant to the pan while frying the tomatoes. the pasta is really nice as it is, but I like to serve this with a green salad too. 1. If possible, soak the cashew nuts in plenty of water for at least four hours. Rinse and drain. 2. Start by making the tomato sauce. Add the nuts, pasta sauce, fresh basil, and a pinch of salt and black pepper to a blender and blend until smooth. Add a bit of water if needed to make the sauce as smooth as possible. Taste and add spices if needed. 3. Boil the pasta and prep the rest of the ingredients in the meanwhile. Cut the cherry tomatoes in half and rinse the spinach. Heat a large frying pan and add a a couple spoonfuls of oil to the pan. Sauté the cherry tomatoes on medium heat for a few minutes until they are nicely softened. Add the spinach to the pan and sauté for another minute or so. 4. Turn off the heat and add the pasta and the prepped tomato sauce to the pan. Mix all the ingredients together. Serve warm and enjoy! Tagged autumn, lunch & dinner, vegan, vegetarian, winter. I’m not sure what has been up lately, but I feel like since the days started to get darker, a lot of other things started to go awry as well. Our baby was awake at night all the time, there were some minor nervous breakdowns thanks to sleep deprivation, my blender broke (my dear Vitamix! ), I was constantly spilling/breaking/dropping things and it just felt like NOTHING IS WORKING AND EVERYTHING IS WRONG. I felt like curling up into a ball, hiding under a blanket, and taking a looong nap. See you later, said this mama bear and fell asleep. If disappearing is not an option, going back to basics usually seems to ease things out in these chaotic times. Instead of doing a hundred things at a time (oh hello me), I tell myself to focus on one thing only (sounds so easy right?). DO LESS (so do not start going through your wardrobe while avoiding your to-do list like I did last night). Take a shower, wash your hair (there’s something therapeutic in it for me), take a couple deep breaths, and do something useless for a moment (love love love my chick-lit tv shows for this). And after a night of better sleep, your mood and vibe is like from a totally other planet. What I just wrote doesn’t really have anything to do with this pumpkin risotto, but sometimes it’s just nice to write down my thoughts here and pass them forward. Gives some space to my clogged mind too :) But now, let’s talk a bit about this risotto. I made this a few weeks ago and felt like sharing it here too, since pumpkin is in season right now and I think we all need some cozy dinners to our rotation. Risotto is usually my go-to meal in italian restaurants, as it’s a safe bet for a celiac, and sometimes I like to make it at home too. Pumpkin risotto is probably familiar to some of you, but I wanted to give this one a twist and make it vegan by replacing the parmigiana with nut parmesan! I was on a pretty strict breastfeeding diet this summer and early autumn to resolve our boy’s tummy problems and thus gave up all dairy products for a few months. After introducing dairy back into my diet, we’ve been eating a lot less of it actually and haven’t really been using any cheese at home (we used to be obsessed with feta cheese). So it’s been fun to come up with ways to replace cheese in recipes and figure out new ways of cooking! I think risottos are a great comfort food, but they’re also really easy to prep. Once you’ve peeled and cut your pumpkin into pieces, this recipe is very simple and comes together quickly. I like to serve this as a main course, but you could definitely serve it as a side too if you’re making a bigger dinner. And since you’ve opened up that bottle of wine for the risotto, I think it’s nice to set a pretty table, take a few deep breaths, have a small glass of wine, and enjoy the moment (and the food too). Sometimes just being in the moment with no pressure to be anywhere else or do anything else is a great cure for our busy minds. 1. Preheat the oven to 175F / 350C degrees. Peel the pumpkin and cut it into small cubes. Mix the pumpkin cubes with a bit of olive oil and season with salt and black pepper. Roast the pumpkin in the oven for 25 to 30 minutes, until the pieces have softened. 2. Prepare the nut parmesan in the meantime. Measure all the ingredients in a blender and pulse until a fine crumb forms. Pour the nut parmesan in a bowl and set aside for a moment. 3. Peel and chop the onion finely. Prepare the vegetable broth. When the pumpkin is, take about 1/3 of the pieces to the side. Add the remaining 2/3 of the pumpkin to a blender, add a bit of vegetable broth and blend until smooth. You can also use a hand mixer for this step. 4. Heat a large frying pan, add a bit of olive oil to the pan, and sauté the onion for a couple minutes. Add the rice to the pan and fry for a short moment. Now add the white wine. Once the wine has absorbed, add about 1/2 to 1 cup of vegetable broth at a time. Cook slowly for about 15 minutes and then add the pumpkin puree and the remaining baked pumpkin. Mix well and cook for a couple of minutes until the rice feels cooked but has some texture left. 5. Finally add the nut parmesan, fresh thyme, and season with salt and black pepper. Serve warm and enjoy! Tagged autumn, lunch & dinner, vegan, vegetables, vegetarian. After spending a couple days in pajamas, I thought we had passed it, but now my boy is a poor little creature with the runniest nose. The positive thing is that flu will pass and it’s not that serious, even though the sore throat at the beginning always feels like the most awful thing there is. Luckily I’ve gathered rather an arsenal of home remedies over the years and as usual, I went for my usual treatments this time too: zinc, carmolis tincture, grape seed oil extract, sage throat spray, chaga tea, raw chocolate, sea buckthorn juice, and turmeric. Besides taking my drops and tinctures and munching on some chocolate, I always get a craving for something warm and savory, which pretty much means soups, stews, or other comforting foods. This time my cravings led me to making this simple, yet super flavorful noodle soup, that I hope you guys will love too. 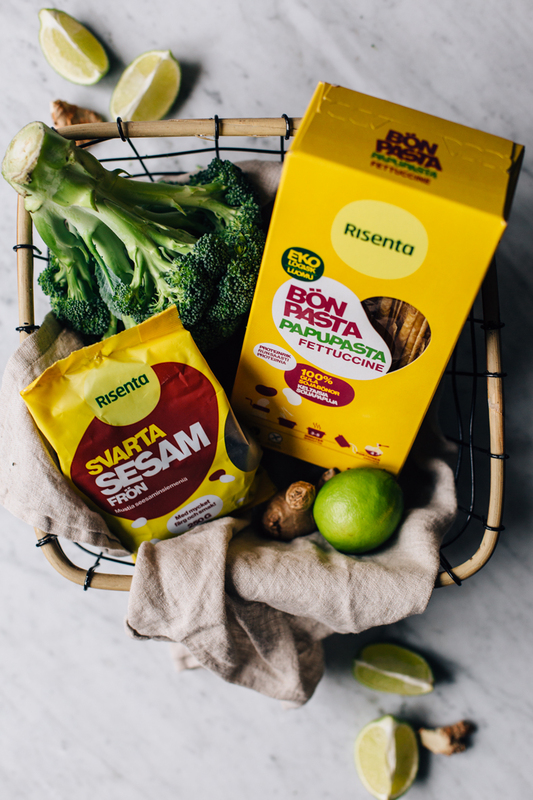 I’ve had the chance to work with Risenta quite a lot over the years, and this time I got my hands on their bean pasta and black sesame seeds. 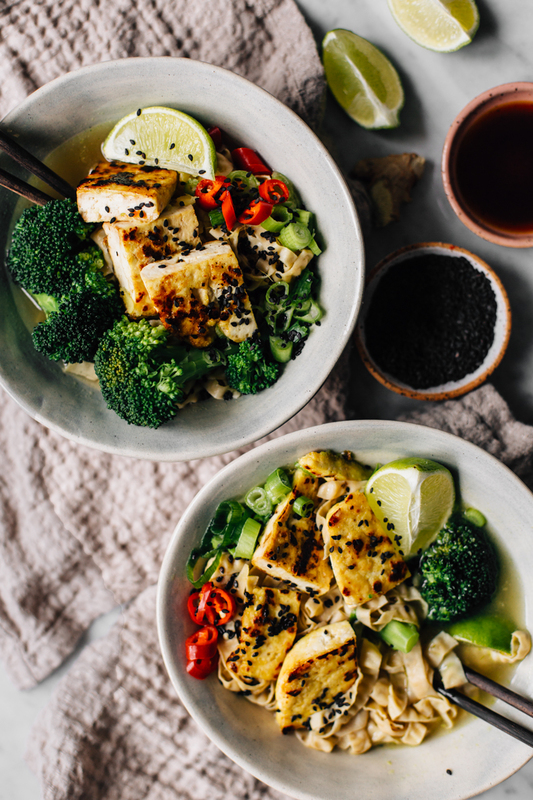 We use black sesame seeds pretty often at home, as they make so many foods look pretty (I love them on top of my avocado toast + smoothies) and they taste really good too. Different kinds of bean and lentil based pastas have been popping up a lot lately and I think they’re really great for quick and nourishing weeknight meals. I find Risenta’s soy bean fettucine to be a lot like noodles, which makes them a fun replacement for regular noodles, especially if you’re looking for some extra protein. Eat well and stay cozy, friends! notes: if you wish to make the soup a bit more ‘creamy’, you can add some coconut cream to the broth! also a teaspoon of turmeric is a great add, if you’re in need of some extra boost. 1. Start by preparing the tofu. Drain the tofu and wrap it into a kitchen towl and set to a plate. Put another plate on top of the tofu and add some weight on top of the second plate on order to remove any excess liquid from the tofu. 2. Then move onto making the soup base. Slice ​​or grate the ginger and garlic finely. Heat a saucepan, add the sesame oil to the pan and fry the ginger and garlic on medium heat for a couple of minutes. Add the vegetable broth, tamari, and chili flakes. Let simmer on low heat while you prep the rest of the soup. 3. Remove the tofu from the kitchen towel and cut it into squares. Heat a frying pan and fry the tofu in a hot pan for a few minutes until browned. Turn the heat off and add the sesame oil and tamari to the pan. Set the tofu aside for a moment. 4. Cut the broccoli into florets. In another saucepan, heat plenty of water and cook the bean pasta for 3 to 4 minutes until ready. You can cook the broccoli in the same pan with the pasta, or steam or cook it in another pan. 5. 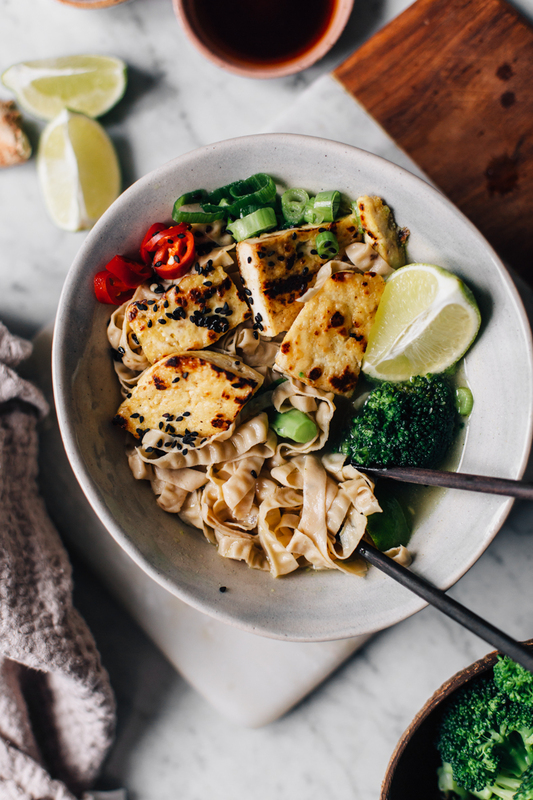 Once you’ve got everything ready, assemble the bowls by placing the bean pasta, broccoli, and tofu to the bowls. Pour enough broth to cover the noodles. Finish with some chili, lime, spring onion, and black sesame seeds. Serve and enjoy! Tagged grain free, lunch & dinner, soups, vegan, vegetables, vegetarian.